Great News for lovers of Mary Magdalene! The church at Rennes-le-Château is dedicated to Mary Magdalene, and so over the years I have researched her history. My approach is journalistic - I report what I find - and historical, but I always listen to the "evidence" of spiritual people who tell me they receive messages from an alternative world, or even from Mary Magdalene herself. I have long suspected that Mary Magdalene came to Languedoc rather than Provence and researched Roman history of the time so that I had a background to set Mary and Jesus against, to discover what really happened during those early days of Christianity. It seems to me I have discovered the route they took, traversing to Corbières to settle for a while in Rennes-les-Bains not far from Rennes-le-Château. Now my book about this route is published. 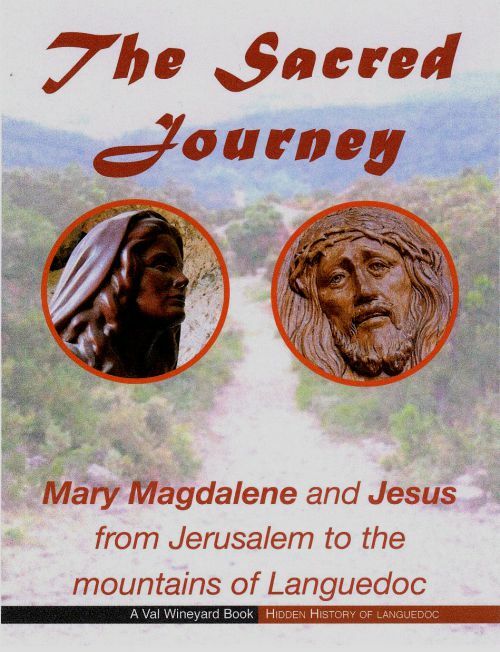 You can read much more about Mary Magdalene and this route on my site; www.marymagdalenebooks.com or you can buy the book at the end of this article. One day I will be a guide along this route for people researching Mary Magdalene, thinking of her both as a goddess and an historical person. The name comes from the Latin, viginti gradi, which means twenty steps. Mary Magdalene and Jesus would have walked up these steps on the renovated Roman road entering the village. One of the longest chapters in the book! I found out so much here, about the Cathars and the "Notre Dames" who were really Mary Magdalene. Tuchan was a large and thriving valley in Roman times. 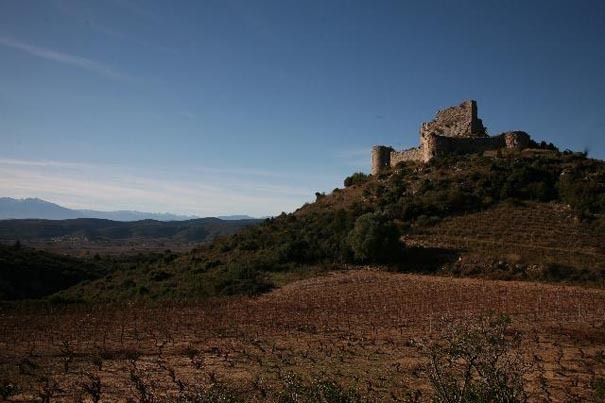 At Tuchan is the first of three huge Cathar castles along this route, Aquilar. 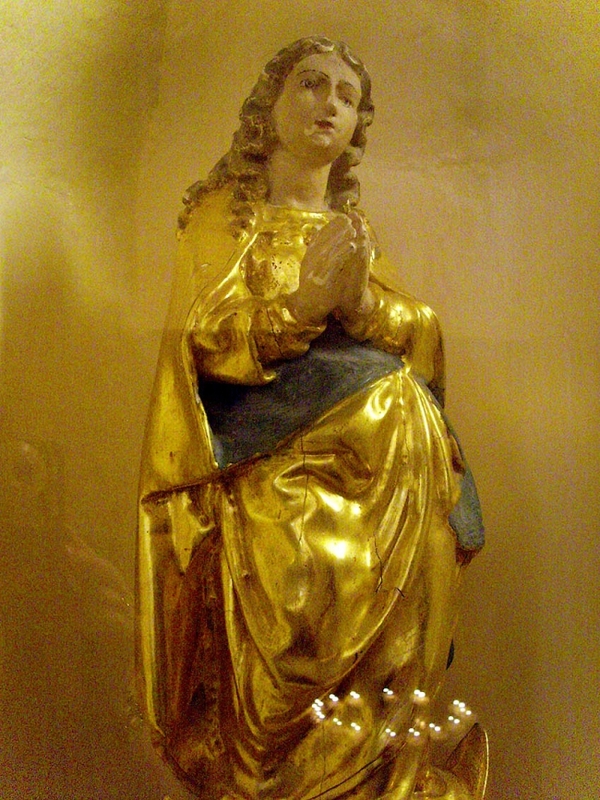 Only five kilometres further, at Cucugnan are Roman remains, and today, in the church, evidence of the old beliefs of the Cathars; a statuette showing Mary Magdalene pregnant. Except they insist it is the Virgin. Then the road drops down into Cubiéres-sur-Cinoble, watered by three minor rivers. Today, this village with its strange church is fascinating with much to offer . . . renovated by Saunière's builder, Elie Bot . . . nearby are the Gorges de Galamus. Just past the hamlet of Linas is a forester's road, nowadays used as a short cut by farmers' vehicles. It is called la Route de Ste Marie but at one time it was la route de Ste Marie Madeleine. The local Mairie's explanation of the change of name was that it was too long! On this tiny road, in the middle of a wood, the Aude deputy to parliament, Henri Dujardin-Beaumetz, inaugurated a plaque on 19th May 1902. 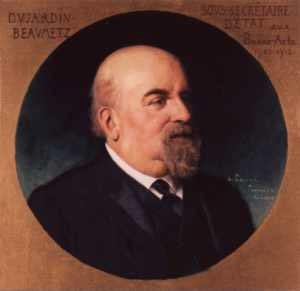 He was a great friend and fellow freemason of Bérenger Saunière. The Roman road, based on an old Celtic track, was about 100 metres to the east of today's modern road, and is now a randonneur's footpath on the other side of the River Blanque. 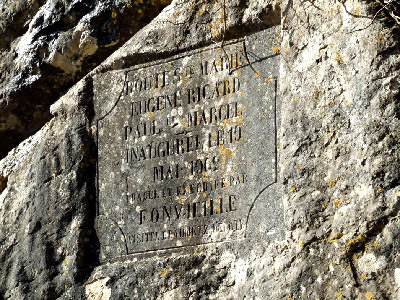 Further on is a junction where the Blanque is met by the River Sals – it makes a deep pool – and it is called Le Benitier which as you know is the word for "Baptismal Font." 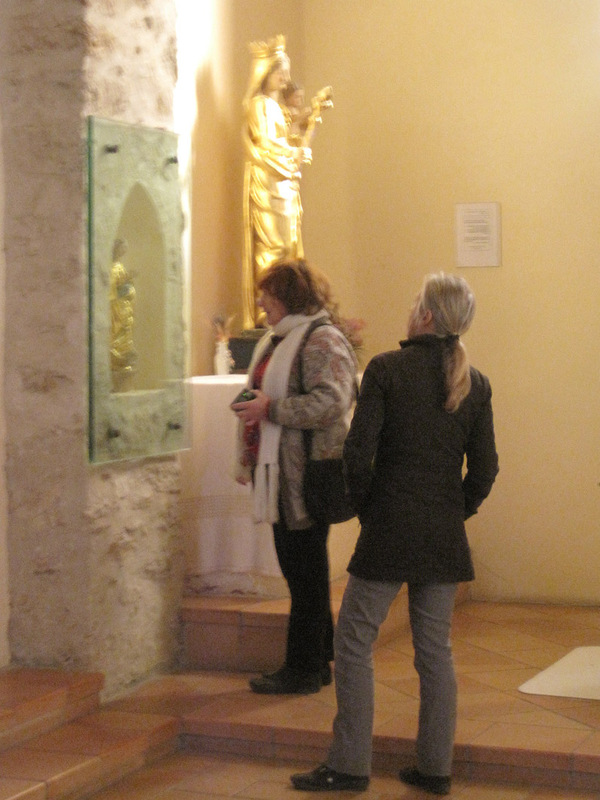 I explain in my book how Mary baptised people by the river, in Le Benitier and in Fontaine des Armours. Mary and Jesus never lived in Rennes-le-Château but it is likely, along with other people living at Rennes-les-Bains, that they walked or rode up to the hilltop to Rennes-le-Chateau, to worship Isis, on warm sunny days. Incidentally, Mary Magdalene and Jesus travelled along a little known Roman road, a mining route that linked Ariège with the coast, which I enjoyed researching in this journey of discovery! The Paypal button is easy to use, just click the little arrow to find your price option (countries outside Europe are included in the USA category), click your option and then click Buy Now. The book is also available on Amazon.co.uk if you prefer that option.